This beautiful photograph of the swimmer, shielding himself from the bright light, caught in a suspended animation. The 45" x 30" first edition is from a run of only 10 and it has just been acquired by a collector. Soon to be hanging on the walls of it's new home. 'll try and bring you the instal shots once it' is hung. 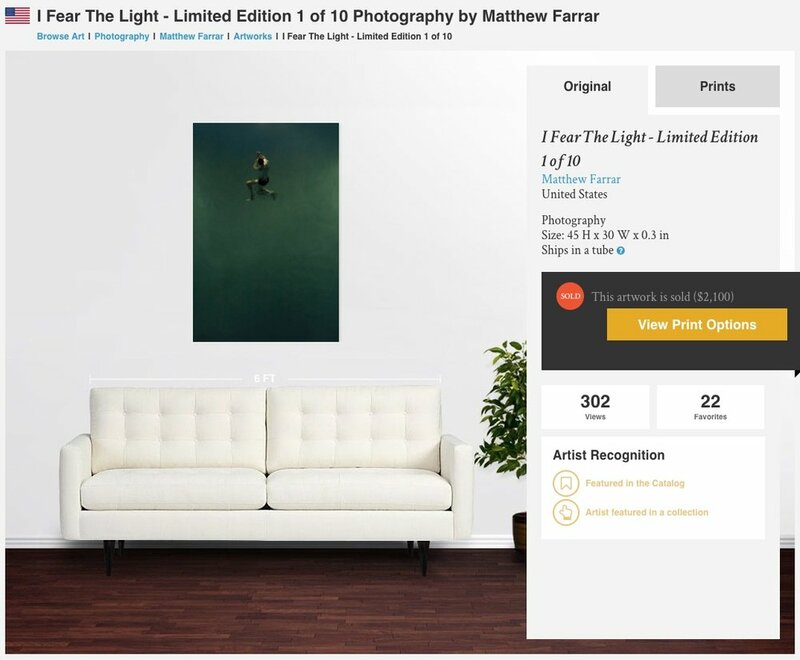 "I Fear The Light" 2017 is a new release from the 'Night Swimmers' series and sisters a second image entitled 'I See The Light' 2017, also available both here at mattfarrarimage.com and on the Saatchi Art website.